Small efforts applied over a long time are more often than not, better than infrequent full intensity, balls-to-the-wall efforts. You must have definitely seen the wired physiques of champion gymnasts over the years. Even in ages when exercise science knowledge hadn't reached its hey dey of popularity as it has today, we did see astonishing physiques on gymnasts, both male and females. The sport demands its practitioner to posses extraordinary spatial awareness, agility, bodyweight strength, tension generation capability, mental toughness, flexibility and nerves of steel. And that is just what they do in their practice and training. He can give any serious physique athlete a run for his money! Let's consider another sport, Decathlon athletes. The decathlon, as we know it, is one of the most formidable test of physical qualities and athletic excellence. You can be an excellent ong distance runner, very efficient at managing your body's energy system reserves, but you have to be a brute rocket to excel at the 100 meter dash. Or you can be an excellent fast-twitch muscle fiber make-up dominant sprinter capable of showcasing limit velocities over a small distance, but what would happen over the course of a 400 meter heat? Hell, you could be just all of these, but then we have the hurdles requiring such elastic rebound capabilities in your lower extremities. And we haven't yet mentioned the throwing events, the shot, the javelin, the discuss. And of course, we have the mother of all athletic endeavors, the Pole Vault waiting for you to grind your absolute best. No, that isn't a fitness model, that's decathlete Steve Cain. The physiques of decathletes resemble the kind of premium they place on their training, practicing all the sports in theur battery of tests, which renders a very special mix of physical transformations in their physiques. A transformation which many may claim as the masculine ideal for physique development. 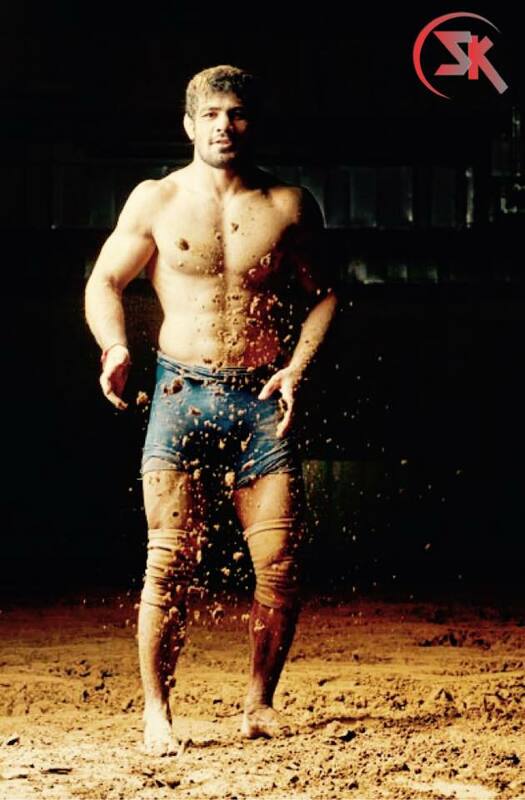 Talking about some of the most hardest training athletes int he world, wrestlers, we get another arena pf physcial excellence, where the physiques speak of the rigors involved in the profession. Winning a wrestling match involves superior gripping, lightening fast speed, rugged impact facing, ballistic strength to toss your opponent, rooting power to plant yourself into an immovable unit in the ground and several other highly in demand positives. And one look at a day from a professional wrestler's training, and you are assured that THIS is what they do every day, year on year, which results in the form in which we see wrestlers. Olympic Medalist and World Champion Wrestler Sushil Kumar in a routine training session. I believe you have already caught the drift of today's post. The central theme in all these stories is Consistency. All of the athletes in sports which demand some form of extreme to be demonstrated will non-negotiably be required to invest the maximum of their training times in perfecting those very qualities. Another bonus example: Speed cyclists. The enormous upper leg development of speed cyclists tells the tale of the extremely high anaerobic potential required to push the cycle at winning speeds, and for a prolonged time. Could a cyclist attain such levels of hypertrophy training in any other manner possible than going through training sessions including spurts of fast cycling all the way? World champion German Track Cyclist Robert Förstemann. Stated in more real world sense, pick up an exercise program consisting of big basic movements an keep doing it with a controlled intensity for a duration until you can progress. Once you get stalled, pick up something 'same but different' . And exmaple can be a program consisting of the barbell deadlift and the military press. After a period of eight weeks, training seems to falter seeing no improvements in the poundage which you can put in the bar. Here's when you can replace the conventional deadlift with a sumo stance deadlift or a Jefferson deadlift, or the militry press with a dumbbell press or a side press or a bent press. But the important idea is to stick to the basics and keep doing them consistently over and over through the years and keep seeing the noticable occupational changes in your physique and looks by virtue of the labor of doing all that targetted work from such a long time. Of course variety has its place in training as much as it has in real life. But the value of basics and mastering them can absolutely never be undermined in physical culture as showcased by these master physiques built majorly from only practicing their sports. With a boat lod of exercise programs readily available at our disposal, the amount of information overload present in our minds can quickly lead us into believing that the only way to progress in physical development is getting done with an exercise program and then immediately switching to the next one. But taking a page out of athletic practices proves the point of maintaining a significant degree of semblance and overlap between each of the exercise programs that we follow in order to the keep the basic human movements of Pushing, Pulling, Squatting, Hinging, Bracing, Folding etc mastered. Classic strength prgroams such as the 40 day program, Easy strength, The Russian bear etc are based only on this foundational truth of getting physically better at doing something. If you are stalled in your current strength gain or physique development endeavors, I'd say, let this be a pedestal to reassess your current training approach for any gaps or overlooked movements and start including them and training them more often, even though with submaximal weights. Olympic champion weightlifter Lü Xiaojun demonstrating how his sport built his physique. After all, we are all creatures of habit and adaptations happen depending upon repeated exposure to the demands we place on ourselves.